The death of Nationalism or just plain apathy? This past weekend in the United States was Memorial Day weekend, a date that has become the unofficial start of summer. Cook outs were had, parties were thrown, pools were re-opened and most of us got to enjoy a long weekend. However, as I was driving around Town (probably heading to the grocery store for the 3rd time as I can never seem to get everything I need on the first pass) I was struck by the lack of outward celebration/reverence for what Memorial Day was set aside to actually commemorate – those who are and have served this great nation with their military service. The lack of the simple act of putting out a flag was so noticeable that I conducted my own non-scientific survey…..just under 15% of homes recognized Memorial Day in my Town in 2015. “I posted an update on Facebook” – I am sure that reached more people anyways than those driving down your street. “I need to replace my flag – it got tattered in the last storm” – Fair enough, they sure are hard to come by this time of year. “I was traveling for the weekend” – Yep, busiest travel weekend of the year according to AAA. Be sure to set the timer to the lights on your house and have a neighbor check on it. We want to make sure it appears like you are home. Perhaps the neighbor could set out your flag to make it appear as you are there? “Storms are supposed to be really bad this afternoon” – Legit excuse for the afternoon but what about the morning? “I don’t support the current/past/future administration’s foreign/domestic/space policy” – what does that have anything to do with reverence for the volunteer military and honoring those who have and continue to serve us? However with all of those “reasons” for a lack of public display in place, I want all of you old enough to own or rent a home to think back to September 2001. America had just experienced the largest single event causing loss of civilian life caused by a foreign militant in the history of our nation. As a collective we were hurt, we were in shock and we found ourselves craving a common symbol of strength to show our unity, our resolve and our commitment to not let others intimidate us. What symbol did the nation turn to? Old Glory. You saw the flag everywhere – literally. You couldn’t avoid the flag if you had to and that was on non-holidays and lasted for months. So here we are in 2015. In the 14 years since 9/11 we have fought 2 foreign wars, suffered multiple terror attacks, seen citizens of the world beheaded on live internet feeds and live under the constant threat of danger (just this morning the FBI warned the public about potential threats on airliners bound for the US from foreign ports – as a regular traveler I cannot express how comforting that is), yet if I were to take the actions of the multitudes of North Texans (arguably the most vehemently patriotic of all the states) as a leading indicator – we could care less to recognize or honor those who have physically defended our right to choose not to honor them. America as a nation is not perfect. There are many faults – not the least of which is our growing inability to empathize with those who hold different viewpoints than our own but I do not believe that Nationalism is dead. I believe that those that I live around still believe that we have the good fortune to live in the greatest country that has ever existed. I also believe we let ‘busy’ get in the way of ‘important’. Showing reverence for those who have sacrificed some or all is important. The good news? We get two more chances in the next 2 months to make it up!! 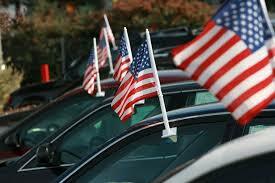 Flag Day is coming on June 14th – Here is your official 2-week notice to get your tattered flag replaced. 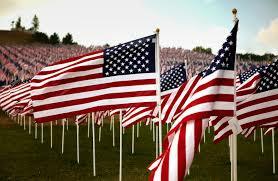 July 4th is right on the heels of Flag Day – If you are traveling, perhaps we have that neighbor help by putting out the flag in your absence. So town-folk, I am asking for you to prove me right. Prove that nationalism in North Texas (or wherever you live) is not dead and that you just got busy. I dare to dream of a town where on the Fourth of July, there are as many houses with an American Flag flying in front as those that put pumpkins out for Halloween (or dare I say it – lights for the Holidays!?!?). Can we make that happen? Can we show those who continually sacrifice that their service is appreciated? I know you can and I can’t wait to see the streets on 7/4/15. In the meantime, safe travels and I will see you at the Fourth of July picnic.